So yesterday Alan went water skiing while we were at a family picnic. 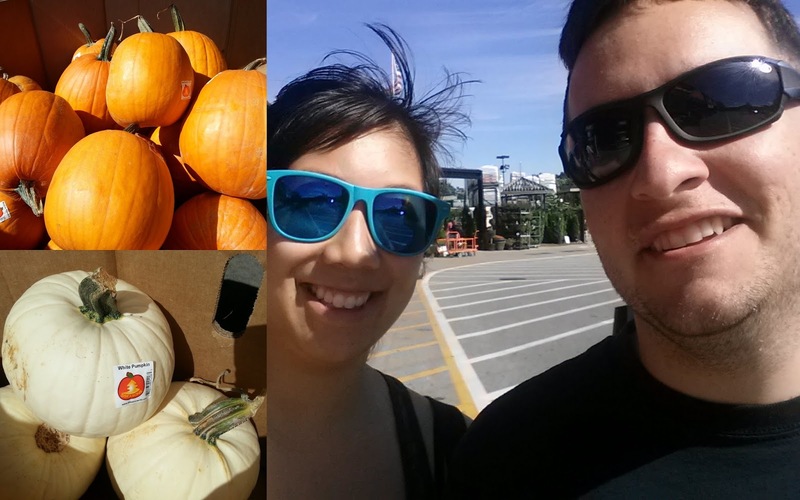 Today we walked to our local mall, its about 1.6 miles from our apartment. This past week I hopped on a bike for the first time in 6 years and had a super sore booty after my 2 mile ride. So our first stop was Sports Authority to check out some bike shorts. Well they only side Large and XL and those were out of the question so i decided to check out some accessories for my bike. 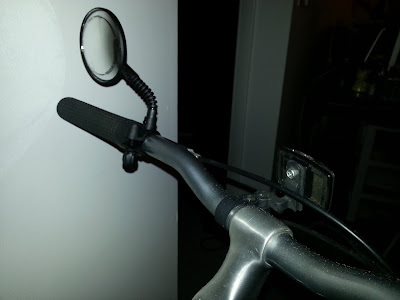 I ended up finding this side mirror for my bike so I can more easily make left turns in traffic. I can't wait to test it out tomorrow! So our next stop was to snag the Bath & Body Works Amber Blush Freebie, which is still live until tomorrow, September 9, 2013. 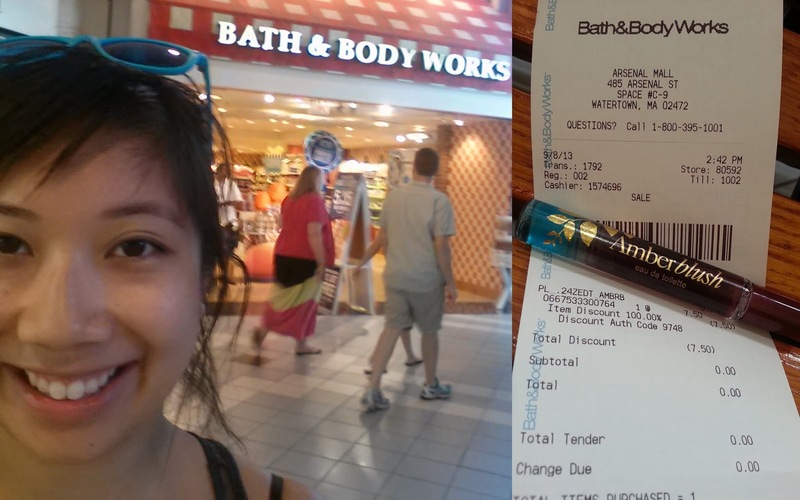 I always love it when I get to see a receipt that say $0.00 it makes me so happy! On our way home we stopped by Homedepot to get gear for Alan's fix it up project, check out the video below! I never knew there were white pumpkins until today, I'm super excited to carve my first pumpkin at Pine Haven Halloween Weekend!!! Don't you worry I'll be posting about it.